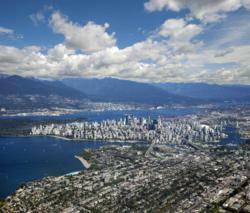 Resonance Consultancy has won an international competition to create the City of Vancouver’s first Tourism Master Plan. The Tourism Master Plan will help determine how to grow tourism in a responsible, sustainable and economically viable manner while ensuring the needs of residents, visitors and tourism businesses are met. "The Tourism Master Plan is a massive undertaking that brings together marketing and destination management and unites the tourism industry with the community." Vancouver’s first Tourism Master Plan will be created by Resonance Consultancy, a local firm with experience in the production of more than 100 tourism and development consulting projects in 65 countries, as well as proven expertise in destination and city branding. The plan is a joint effort of the City of Vancouver, Tourism Vancouver, Vancouver Economic Commission and the Vancouver Convention Centre. Its objective is to assess and define the product development needs of Vancouver’s tourist attractions, services, facilities and transportation in order to create a long-term strategy for the sustainable development and management of tourism in the city. Resonance Consultancy won out over a global field of contenders for the mandate to create the plan. “After working internationally for many years, we’re excited to help shape a clear vision for the future of tourism in the city we call home,” says Resonance Consultancy President Chris Fair. The plan’s formulation will involve a six-month process that includes feedback from industry stakeholders, business improvement associations and residents of Vancouver neighborhoods. Through interviews, workshops and on-line surveys, these individuals and organizations will help to identify, create and articulate the products, experiences, amenities and programming – along with required policies and protocol – that will guide the long-term planning and design of Vancouver as a world-class tourism destination. "We’re thrilled that Resonance Consultancy is on board to help guide the planning process," said Tourism Vancouver’s Executive Vice-President Paul Vallee. "The Tourism Master Plan is a massive undertaking that brings together marketing and destination management and unites the tourism industry with the community. We look forward to working with Resonance, the City, the Vancouver Convention Centre and other partners to build Vancouver into the world city we know it can be." Resonance Consultancy provides travel & tourism consulting and advisory services to destination marketing organizations and governments around the world. The principals of Resonance have completed more than 100 travel & tourism studies, reports and plans in 65 different countries. To learn more about Resonance’s tourism research, strategy, planning and branding services, visit http://www.resonanceco.com. For more information, contact Chris Fair at (604) 681-0804.